My goal was to make a pomodoro timer using a few basic parts and write the code for it using CircuitPython. have a way to set the length of each phase. 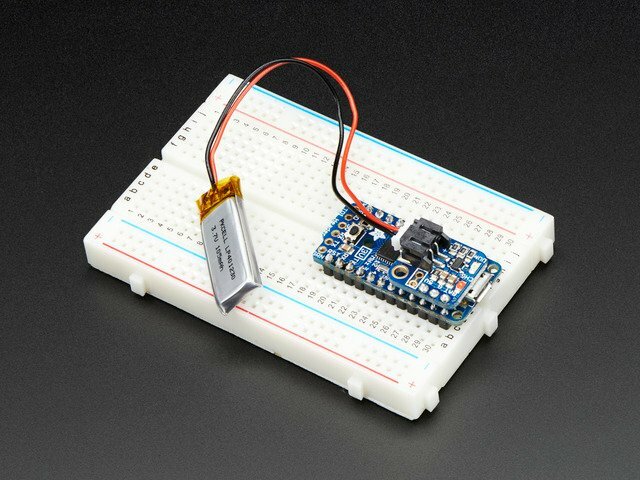 To satisfy requirement 1, I needed to use an Adafruit M0 or M4 microcontroller based board. I decided to see if I could make it work with an M0. These boards are great for simple CircuitPython projects, but if you have much code it's easy to run into memory limitations. For very simple projects, a Trinket M0 does a great job, but I eventually decided to use a rotary encoder and wanted to try out the new rotaryio support in the latest 3.0 release of CircuitPython. That ruled the Trinket out. So that left the M0 Express versions of the Feather or ItsyBitsy. Either would work, but I decided to use the ItsyBitsy: it's smaller, so it would give me a bit more flexibility when it came time to designing a case. It would provide a bit more of a challenge, as well, due to the lack of mounting holes that the Feather has. 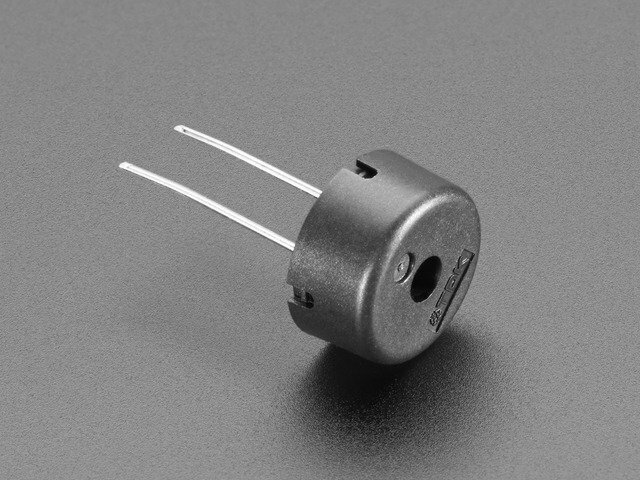 For requirement 2, I used the same piezo buzzer I used in my Humidity monitor guide. 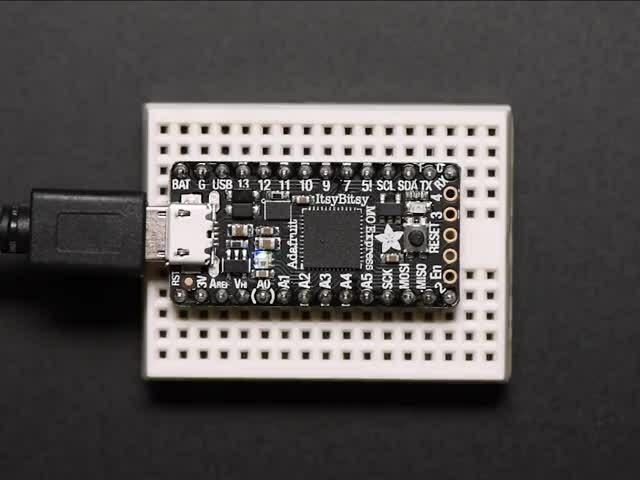 It's loud enough, small, and works nicely with the CircuitPython pulseio library. How To Show Time Progressing? When I thought about requirement 3, I thought about my toaster's interface. It uses a continuous knob and a radial display for setting darkness. What isn't obvious from the photo is that the highest valued segment of the dial blinks as it counts down. Also, as the count down proceeds, the number of segments lit decreases. When none remain lit, the toast is done. This immediately reminded me of a Light Emitting Diode (LED) NeoPixel ring. For the final requirement I was still thinking about my toaster and a rotary encoder as input made sense, especially since I'd decided to use a ring as a display. I'd implemented rotary encoder handling in CircuitPython in a previous guide, but this was a good chance to try out the new bundled rotary encoder support. All that was left was adding a LiPo backpack so that it could be battery powered. The backpack is required since the ItsyBitsy doesn't have on-board battery support. That's one of the tradeoffs compared to the Feather. The nice thing about the backpack is that it doesn't increase the footprint, but it does add to the thickness of the ItsyBitsy. That wouldn't be a problem since the case will have plenty of thickness to accommodate it. That's it: an ItsyBitsy M0 Express with a NeoPixel ring, a rotary encoder, and a piezo buzzer. Add in a LiPo backpack, power switch, and battery for power, and that's it. Below is the wiring diagram. The only difference is that I'm using a 500mAh LiPo in my build. Making the case bigger will allow use of a bigger battery. That makes no difference to the wiring, though. Wiring is pretty straight-forward and described in detail on the Assembly page. The battery connects to the LiPo backpack. The slide switch does as well, allowing the device to be turned off when not in use. The backpack is connected to the power connections on the ItsyBitsy, typically (as I did) by using the included bit of long-pin header. The buzzer connects to ground and D12. 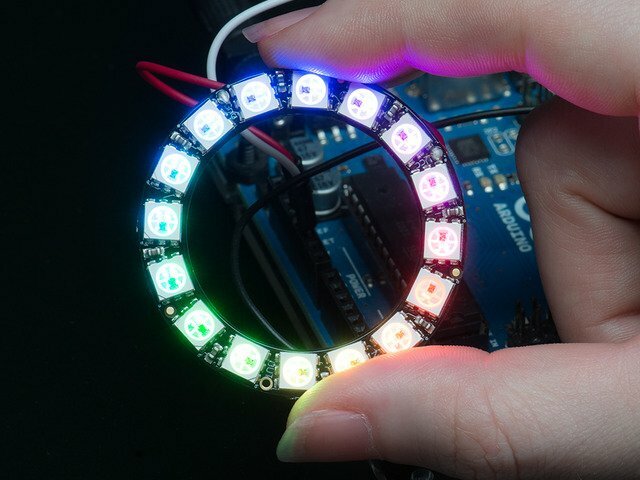 The Neopixel ring has it's power connected to the ItsyBitsy's 3v output, and it's ground to the ItsyBitsy's. The ring has two ground connections, and the second can be used during construction to avoid having to connect everything directly to the ItsyBitsy's ground. The ring's Data In connects to D11. The center of the encoder, and one side of its switch connects to ground. The other side of its switch connects to D10, while its encoder pins connect to D9 and D7. Done as shown, the code will work correctly with the rotation direction. 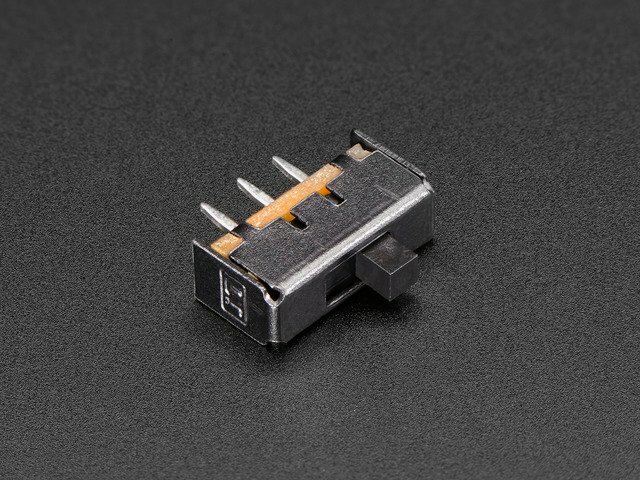 If you reverse the encoder connections, rotation will be opposite what's expected. Reverse the connections or switch the encoder pins in the code to correct it. As with most of my projects these days, I used CircuitPython for this. Are you new to using CircuitPython? No worries, there is a full getting started guide here. We'll go through the code, piece by piece, starting with the imports and setup. Here the rotary encoder is set up using the new built-in support for the rotation of the switch and I use my debouncer library to clean up the encoder push switch. Finally the NeoPixel strip is configured. If you are unfamiliar with NeoPixels, there is a great guide on them. 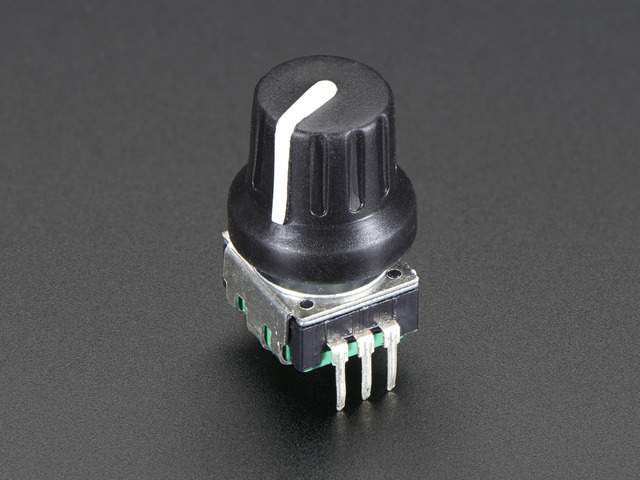 # check whether the rotary encoder has been pushed. If so enter time-set mode. if time_remaining <= 0:       # time to switch modes? Each time through the loop, it checks for a push on the encoder switch. That's the job of the debouncer's update function. If one was detected (i.e. the button signal went from high to low... it fell) the code enters the mode to set the length of the work phase, followed by the break phase, then back to timing mode. The next step checks to see if it's time to update the timer. It does this every second (as defined by the last line). So once a second, the time remaining is decreased by 1 (second) and the ring is updated. If it reaches 0, it's time to make some noise and change mode. In addition to the setup and loop there are a handful of helper functions. The check_encoder function tracks the position of the encoder, comparing it to the last known position. Based on that comparison it returns -1, 0, or 1 to indicate that the encoder rotated counter-clockwise, didn't move, or rotated clockwise. The show_time function updates the time displayed on the NeoPixel ring. It sets pixels to the specified color starting at pixel zero (which is at the bottom of the ring in the final build) and moving clockwise. The final pixel is handled differently. Depending on the bright parameter, it's either set to the same color as the rest, or white. In the main loop we saw that this value gets toggled each second. The result is that the highest pixel blinks. Depending on which mode is being entered, the appropriate set of values is returned. These are used to update the variables in the loop (see above). This is straightforward. It sets up the pulse-width modulation (PWM), loops for the number of beeps requested, and shuts down the PWM. For each beep it sets the duty cycle to 50%, waits for the beep duration, sets the duty cycle to 0% (effectively turning of the sound), then waits for the interstitial duration before playing the next beep (if any). Next is maybe the most interesting function. To start, it initializes from the current encoder position and flashes the ring. Following that there's a loop that shows the current setting (using the show_time function we looked at above) and checks the encoder push switch. If it was pressed the current setting is returned. Otherwise the encoder's rotation is checked and the time setting changed based on the result. Finally the time setting is capped at 0 and 16, which reflects the size of the ring. That's it. Each piece is fairly simple, but the overall functionality is interesting and useful. Below is all of it, with comments. """Check if the encoder has been rotated. returns the direction (-1 or +1) if it has, 0 if not. """Show remaining time on the ring. This guide was first published on Jul 02, 2018. It was last updated on Jul 02, 2018.